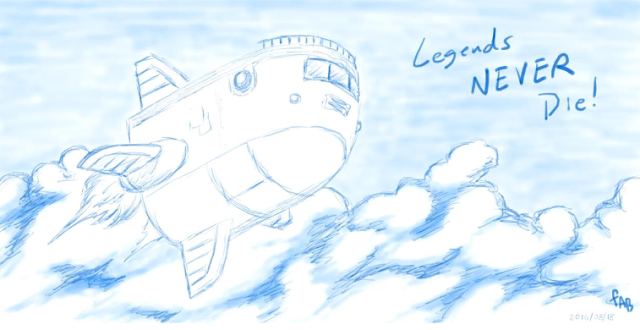 Facebook group 100,000 Strong for Bringing Back Mega Man Legends 3 has launched a digital version of their fan tribute book; a 103-page tome bound for the Capcom USA offices. The book is filled with heartfelt letters and fan-art from MML aficionados, each striving for the group's namesake. A physical version will be printed sometime in the near future, but, for now, you can check out and download the PDF version here. Head to the group's Facebook page for more info! What's more disheartening about this is that Capcom will shrug this off and go back to releasing movile apps and compilations. It's truly the stuff of legends that folks have still not given up on bringing Mega Man Legends 3 back to the table. It's truly admirable, much like Mega Man's tenacity in never giving up no matter the odds. I doubt this will ever touch Capcom's heart enough to announce Legends 3's return, but it is something that might just go down in the annals of gaming history. Yeah, it is dead.. Capcom isn't going to bring it back.. Never. Look at stupid figures, stuff, and monopoly games. They are stealing our money. I wont buy anything until they bring MegaMan/Rockman games back!!! Resurrection, huh ?